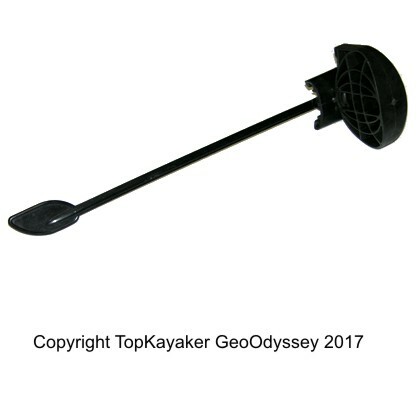 Perfect foot wear for the confines of sit-in kayak cockpits, and high enough for launching and landing sit-on-top kayaks. 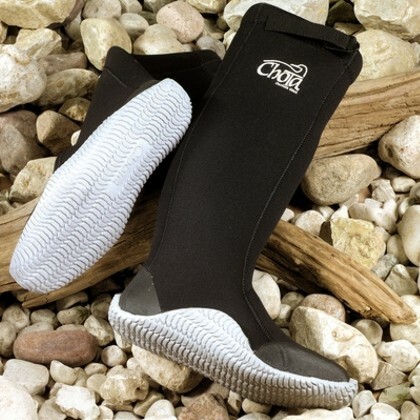 The Chota Mukluk Light is a 3mm closed-cell neoprene boot keeps you warm and dry up to the knee. The triple-glued and blindstitched seams are watertight and comfortable. The skin-out neoprene gasket coupled with a nylon cinch strap keeps the top comfortably in place just below the knee and retards flooding. The 3mm vulcanized rubber sole with protective midsole provides traction, while the vulcanized rubber toe cap and heel counter provide additional protection. Sized extra roomy for use with thick socks, yet the flexible. See more footwear options.